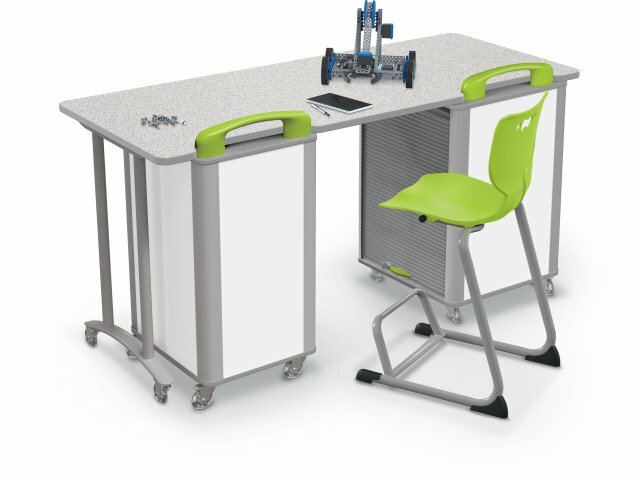 Balt Mobile Makerspace tables provide a superb workstation for your budding makers. The smooth, scratch resistant, high-pressure laminate work surface offers a comfortable space for tinkering and building prototypes. 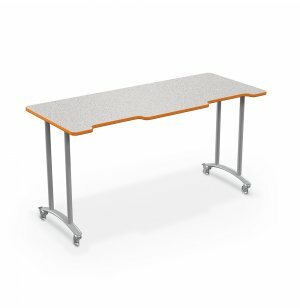 The 37"-high surface allows students to work while standing, and accommodates stools, for a modern, techy lab feel. These tables work perfectly with other Balt Makerspace Furniture. Notched cut-outs in the work surface allow makerspace carts to dock seamlessly under the work surface, saving space and keeping all tools and supplies handy. Commercial-quality skate casters encourage students to effortlessly find the perfect positioning for individual and group work. No matter what step they are up to in the process of creation, this makerspace table will help your students design and build all kinds of things. 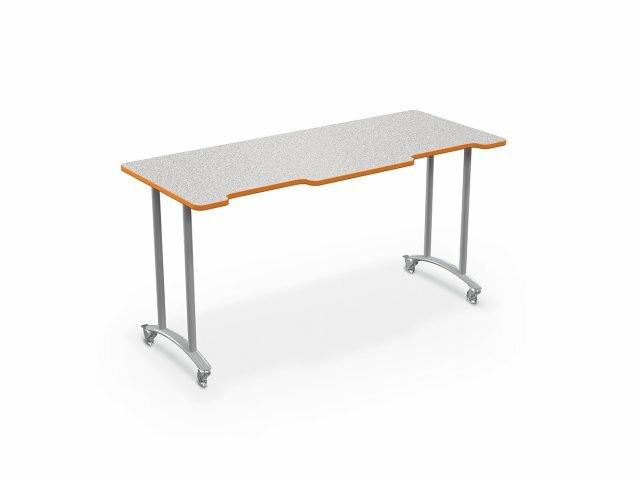 Ideal Height: A 37"-high work surface supports students who like to work while standing, as well as while sitting on a stool. Sleek Surfaces: The low-maintenance, high-pressure laminate work surface with ABS banding is easy to clean. Smart Design: Notched cut-outs in the work surface accommodate makerspace carts perfectly.